Call us today at (256) 945-0502. Our Madison divorce lawyers are currently offering a low flat fee for uncontested divorces in Madison and Limestone County. This does not include the fee that must be paid when your divorce is filed. This filing fee varies depending on where you file, but in Madison County it is about $337 and in Limestone County it is about $240. Both of these amounts include a small convenience fee for filing divorces online. Give our Madison divorce lawyer Steven Harris a call today for the filing fee in your county. To do an uncontested divorce in Madison, you and your spouse must be in agreement about all issues in your marriage such as custody, child support, visitation, and property division. To get the process started our Madison divorce lawyer will email or mail you a questionnaire or you can fill one out online by going to our divorce questionnaire page. There are no hearings involved in most uncontested divorces since all matters have been agreed upon already. It is usually not necessary to have an in person meeting with our Madison divorce attorney since it is mostly paperwork in an uncontested divorce and your questions can usually be answered by the lawyer over the phone or by email. This allows us to be able to offer these discounted fees no matter where you are in the State of Alabama. However, we do have a Huntsville office if you would like an in person consultation with a Madison County divorce lawyer. If you need an uncontested divorce in Madison or the surrounding areas of Limestone or Madison County then it is important to retain a local divorce attorney that is familiar with the filing requirements in your particular county. Many counties have their own local requirements for what language they want in the divorce documents. Both Madison County and Limestone County judges sometimes have their own unique clauses that they require in divorce decrees and settlement agreements. These counties can also have special procedural requirements for filing your divorce documents. Our Madison divorce lawyers regularly file uncontested divorces in both Limestone County and Madison County and are very familiar with such local rules. There are generally two ways to file a divorce in Madison County, Alabama, uncontested and contested. An uncontested divorce is where the two of you reach an agreement and sign the documents (including an agreement concerning all your marital issues) prior to the divorce being filed. Since all signed and properly executed documents are filed when the case begins and both parties are in complete agreement, it is labeled non-contested in the court system. All the judge has to do is approve your agreement and sign your divorce decree, which can usually be done with no hearings or court dates. It generally takes about a month or two to get your divorce decree and they are usually emailed out now with most counties going paperless. 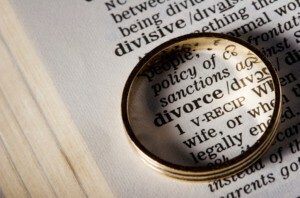 The other way to file divorce is a contested divorce. This is when you file for divorce without an agreement and have your spouse served with the filing. Once they are served, then the two of you may try to reach an agreement through your attorneys and if you cannot reach an agreement then you go to trial before a judge who will decide all of your contested issues for you. The attorney fees in a contested divorce are must more expensive, with most lawyers charging by the hour and requiring thousands of dollars up front, especially if there are children or substantial assets to be divided. This is why it is always cheaper and easier to do an uncontested divorce as long as the two of you can do all of the hard work of reaching an agreement yourselves. To get a cheap divorce in Madison, the two of you must be in agreement. Our Madison divorce lawyers charge $290.00 for uncontested divorces without minor children of the marriage and $390.00 with minor children. This does not include an additional filing fee that each county charges to file your case. In Madison County the filing fee is about $337.00 and in Limestone County the filing fee is about $240.00, both of which include a small convenience fee for filing online. Once you get us the questionnaire and pay the attorney fees our local Madison divorce lawyer will prepare your documents in compliance with the local requirements of your county. For this fee you will have unlimited phone and email access to the attorney who can answer your questions and provide counsel concerning your case. After you get the documents then you and your spouse just get them properly signed and executed and return them to our office with the filing fee to file your case. Upon receipt of your paperwork signed and executed by both of you, our office will file your divorce case. About thirty days after it is filed the judge can sign your divorce decree. Once the decree is entered it is usually emailed to us (and sometimes mailed out as well) and there is usually no need to go to court. If you have any questions about the uncontested divorce process just give us a call at (256) 945-0502. In an uncontested divorce, if both spouses are residents of Alabama then you can usually file in any county in Alabama that you choose. However, it is advised that you file in a county that one of you live in. If only one of you resides in Alabama, then you must file your non-contested divorce in the county that the spouse living in Alabama resides in. 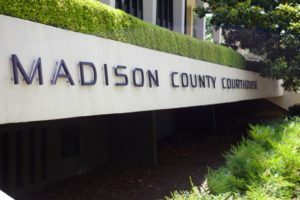 If you live in Madison, Huntsville, New Market, Hazel Green, or Harvest then your divorce will likely be filed in the Madison County Family Court. If you live in Madison, Athens, Decatur, Ardmore, or Mooresville then your divorce will likely be filed in the Limestone County Family Court. The Harris Firm is a proud member of the Madison County Chamber of Commerce and the North Alabama Better Business Bureau. You can check out the reviews on our Better Business Bureau Profile for more information about our services. If you are in the Madison area and wish to obtain a cheap and easy uncontested divorce, then give our local divorce attorneys a call today for more information at (256) 945-0502.